It may seem anomalous given its famously crazy traffic and cacophony of sights, smells and sounds, but things have a tendency to move a little slower in Hanoi than in Ho Chi Minh City. While Vietnam’s southern hub is firmly in place as the country’s economic hub, with all the commercial benefits that entails, the capital has taken a while longer to establish itself as truly dynamic modern base. This game of catch-up is currently being played out in the property market where Hanoi is witnessing a gradual return of confidence in contrast to the wholesale bullishness at play down in the more freewheeling south. 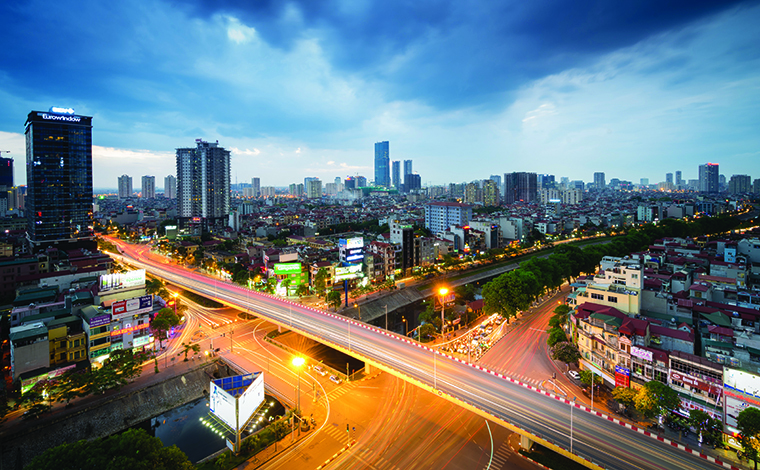 Despite the comparatively low-key nature of the market in Hanoi, the revitalising combination of factors that has injected new life into the property sector in Ho Chi Minh City, and in other hotspots such as Danang, has also had a clear impact on the capital. As has been widely reported, Vietnam’s property market suffered a massive crisis around the end of the last decade. Speculators rather than end users were driving supply, quality control and strategic planning were questionable at best and property prices were rising by up to 60 percent within a year. Inflation, meanwhile, reached a level of 28.7 percent in 2008.